In light of recent news about the Rosetta mission, LIYSF are delighted to have had Professor Mark McCaughrean, the senior science advisor for the European Space Agency speak at the forum on Wednesday 29th July 2015. Have you ever wondered about the origins of the human race? Of course you have! We’ve all wondered about where we come from, yet at this year’s LIYSF, participants came one step closer to understanding both their origins as human beings, and the origins of the entire universe. 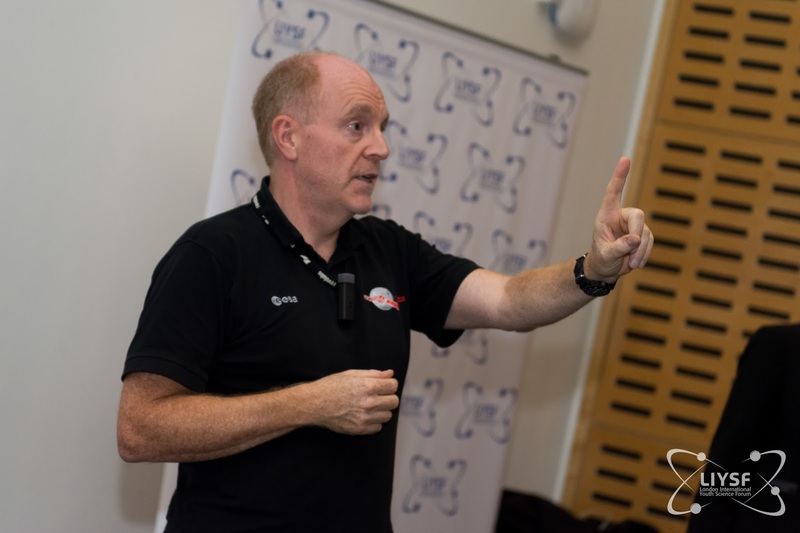 LIYSF was truly excited to hear from Professor Mark McCaughrean, the Senior Science Advisor for the European Space Agency (ESA). Professor McCaughrean is responsible for dozens of missions in space, including the infamous Rosetta mission! Perhaps you have heard about the legendary Hailey’s comet? Hailey’s comet flew past Earth in 1986, and in anticipation of this historic event, the ESA successfully shot a satellite into the sky to capture photographs of the comet. ESA are not the only organisation to investigate our expanding universe. NASA have sent dozens of missions into space, including “Stardust”, where NASA collected dust samples from a passing comet and “Deep Impact” where two spacecraft flew out to a comet, one collided and one recorded the event, to understand what happens in a comet collision. However technology has significantly evolved since these missions, particularly in relation to the exploration of space. Originally scientists could only hope to catch a mere glimpse of a comet as it flew past our atmosphere, nevertheless the Rosetta mission aimed to achieve the one thing that these missions have yet to achieve: landing a space probe onto a comet. 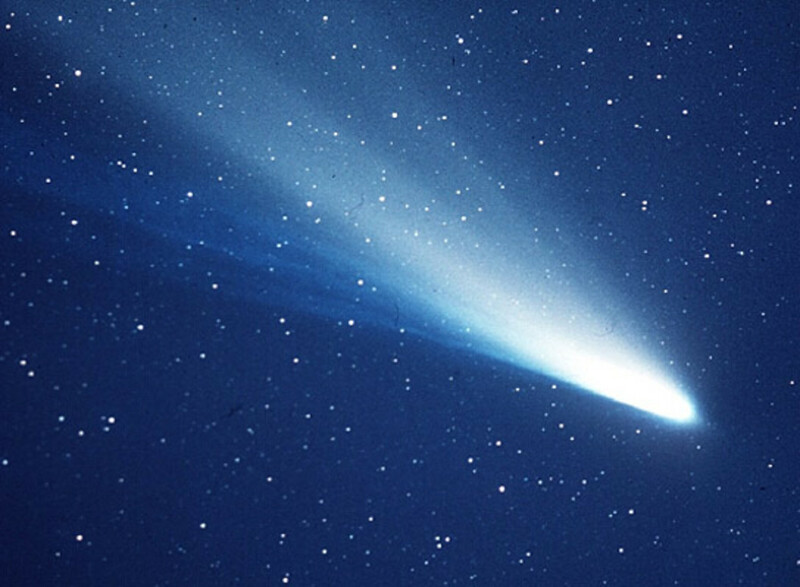 Perhaps you are wondering why comets are so important to the origins of our world? Well allow me to explain! After the Big Bang, materials in the atmosphere formed into dense dust clouds, which under the influence of gravity, turned into our planets. The formation of our planets required billions of years, especially to decrease in temperature. If our planets were so extremely hot in the beginning, up to 1000 trillion degrees Celsius, then how could we possibly have formed water and sustained life on Earth? The answer lies within our comets. 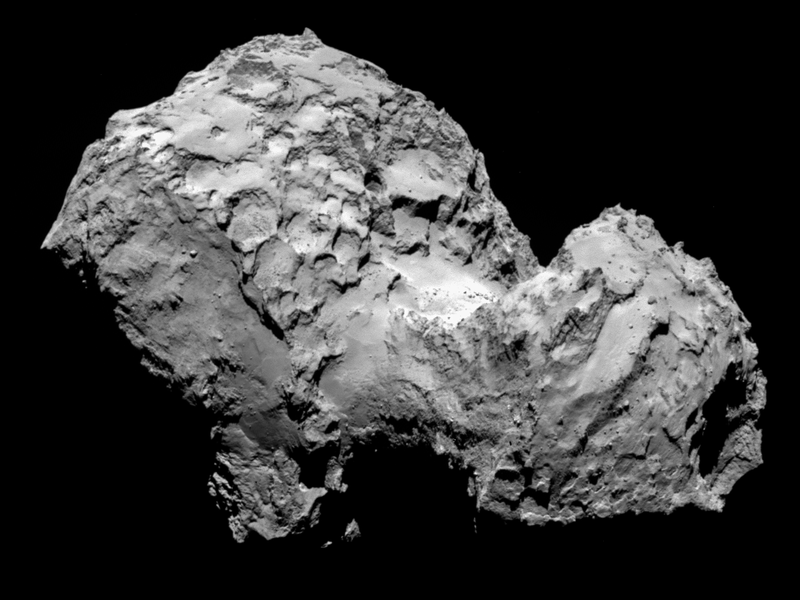 Comets are composed of 50% water and excess materials from the Big Bang. In the initial development of the solar system, comets frequently collided with planets, which could be the reason why water exists on Earth. Comets also consist of vital organic molecules and amino acids that were essential to the Earth, as we know it. ESA launched the “Rosetta” mission in 2004 with the aim to study and collect data for two years, before landing on a comet, particularly, Comet 67P/Churyumov-Gerasimenko. The Rosetta satellite consists of a 2.5m3 orbiter with two 14 metre long solar panels, which are used to collect energy direct from the sun. This combined weighs almost 3 tonnes! The satellite also contains a probe named “Philae” approximately 2.5 metres wide and has a mass of 100kg. The scientific challenges involved in attempting to land a probe on an irregularly shaped, rotating object were certainly overwhelming. Imagine you’re trying to throw a dart at a dartboard. You have to hit the centre of the target. Oh and of course, the target is moving. And in conjunction with all of these problems, you’ve never actually thrown a dart before. This was the challenge that Rosetta’s research team was faced with when they planned an attempt to land a probe on Comet 67/P. However despite every difficulty the Rosetta’s research team faced throughout their 10 year mission, on the 12th of November 2014, the team successfully landed their probe on Comet 67P. Isn’t that incredible? Philae successfully collected and analysed materials from the surface of the comet, providing ESA with crucial information about our origins. Speaking of discoveries, perhaps you are curious about exactly what information Philae sent back to Earth. If so, well you’re in luck! On the 30th of July 2015, the research team at ESA will release the scientific articles containing all new information about the composition about Comet 67/P! See their most recent article on How a Comet Reacts to the Wind. Special thanks to Professor Mark McCaughrean for visiting LIYSF to present a truly exhilarating and inspiring lecture.